It was only a matter of time before some racist idiot would put himself in the hospital because their racism, and hatred towards anyone not white, trumped racial equality in America. Let’s take a look at this yakubian devil, Phil Braun. Phil took to his social media to show displeasure for Nike using Colin Kaepernick, a man who has been silently protesting racial injustice and police brutality in America, in the 30th anniversary of their “Just Do It” campaign. 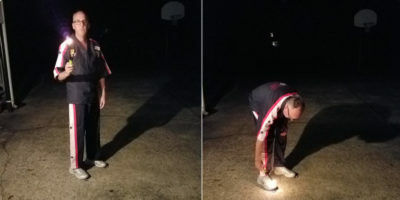 By doing so, Phil thought it would be a good idea to light his sneakers on fire, while they were still on his feet; you can only image what followed. Update… Seems as if #ViralPhil was just fake setting fires for the Twitter. Phil didn’t actually set his shoes on fire while wearing them, as we hoped he really did. The “hospital” photo was just a stock image from Google. People like this do all the harm, and no good. The things people do for attention. Instead of racist destroying their clothes, you would think they would rather donate to the hundreds of thousands of homeless veterans. You would have thought wrong. Photos: Dem Damn Dames Present… Burlesque for Pets! I actually support Colin Kaepernick’s right to protest, and was making fun of the Trump/Nike protestors, which I often do. Surprised how many people took this at face value. I donate clothes to charity quite a bit – I would never donate those shoes as they were sweat-stained and completely worn out.